Much like your ordinary coffee table or bookshelf, your living room windows can become a gorgeous asset to the design of your home with the help of a few selected details. A touch of a vibrant colour here, and a fresh new fabric there, and you will be surprised just how much you can achieve with so little. Let’s take a look at a few ways you can decorate and embellish living room windows of all shapes and sizes, so that they complement your décor and add more life to your rooms! One of the increasingly popular trends in interior design revolves around using natural, organic materials to bring more nature into your home. Just like you can add a few pots of flowers and plants to liven up your space, choosing the right material for your window treatments can go a long way in improving the feel of your room. Wooden or bamboo blinds or persiennes will go well with any style, whether you choose to go minimalistic or you enjoy an eclectic combination of vintage and contemporary. They are not only stylish, but durable as well. If you take a look around your living room, you will find all kinds of materials such as leather, cotton, metal, rock, clay or wood, all of which come together into a fusion of sensations. Materials and fabrics play an important role in your home’s design, so you shouldn’t underestimate their power when choosing the curtains. Depending on your living room’s overall look and feel, you can go with colourful silk curtains for a sense of luxury or heavy, velvet ones with a single, dominant hue. Then again, perhaps sturdy polyester or delicate lace will look best in your room. Another trend that is becoming more and more popular is the clever use of reflective surfaces to create the illusion of a greater number of windows in your living room. This will come in particularly handy for those who have smaller windows or in general, small living rooms, as it will create a feel of more open space and more light. 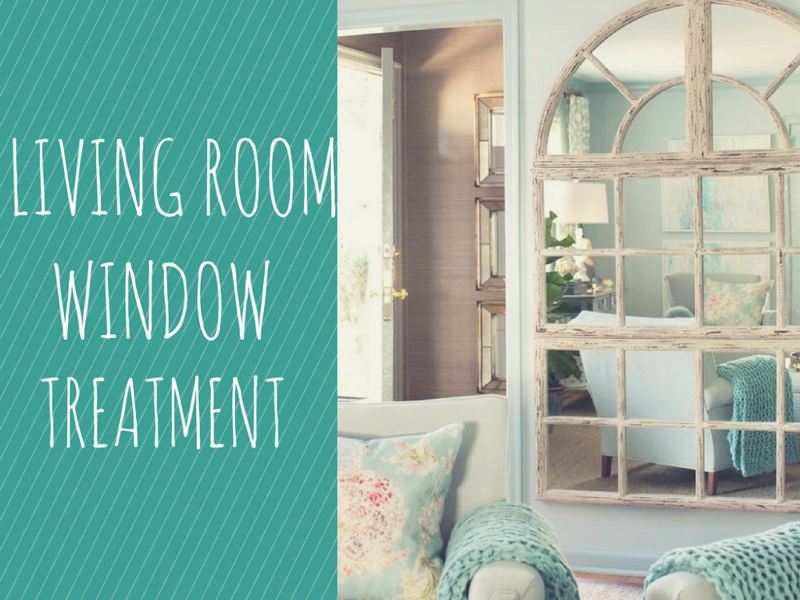 Place custom mirrors directly opposite your living room window, and voila! You are cleverly using your space without disturbing your décor, while enhancing that feel of openness that only windows can create. With very little time on your hands for changing the décor of your living room, sometimes all you need is a few minutes of colour combining to achieve the best effect. Explore the latest trends to discover how you can incorporate a bold shade such as maroon red, or a subtle one like aqua blue with your existing furniture and accessories. You can even hand-paint your blinds with various colours if you feel like experimenting, or pick a single tone that can bring out the character of your living room in no time. If you are an artist at heart, why not decorate the blinds with interesting patterns? While we’re at the subject, if you are looking for vivid, but versatile patterns for your curtains, look no further than timeless lines! On the other hand, floral, bohemian shapes are also a welcome addition in most interior designs, and they will look especially well during the warm months of the year. Oriental, symmetrical shapes can also go well with a modern looking space that uses plenty of sleek, geometrical objects as the focal points of the room. You can find a variety of daring combinations that can give your living room unique charisma and charm.